Mountain biker, hiker and skier Robert Berlin, M.D., was just 53 when he began experiencing symptoms of Parkinson's disease. Today, thanks to health care tailored to his lifestyle, he remains active and optimistic. Dr. Robert Berlin can tick off a nearly 50-mile bicycle ride in a single afternoon. He can climb a 1600-foot-mountain and ski back down. Each day he performs about 90 minutes of cardiovascular exercise. And he does it all while dealing with early onset Parkinson's disease. 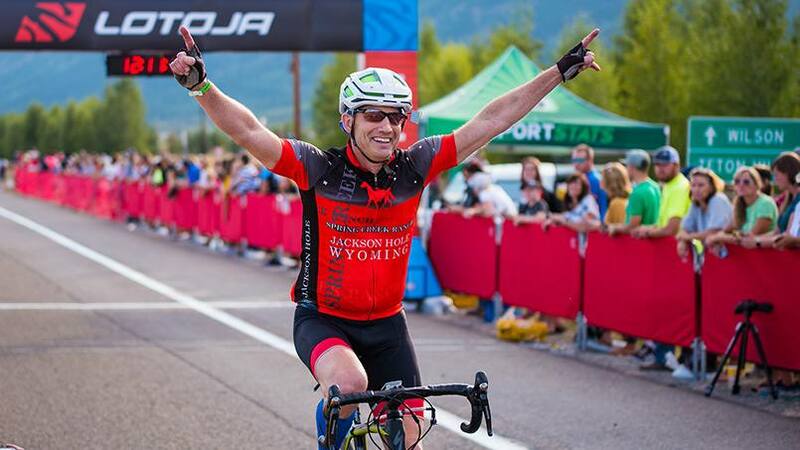 With help and guidance from his Mayo Clinic neurologist Rodolfo Savica, M.D., Ph.D., Robert has been able to take tailored doses of medication to suppress the condition's symptoms and maintain the avid athleticism that's integral to his psyche. "Bob is a person who if you saw walking around, you would not say he has Parkinson's disease," says Dr. Savica, who has been part of Robert's care team since 2014. "Bob is an avid athlete and really likes to be at 100 percent. We want him to be as close to 100 percent as possible. I want him to have as much ability and function as he can." For Robert, exercise not only allows him to remain physically strong, but it bolsters his emotional and mental fortitude to fight the disease, which is normally diagnosed at about the age of 71. "Trying to maintain doing the things that make you happy is a good approach to maintaining a positive outlook," Robert says. "Besides the medication, I think you've got to keep moving. That's what I do. I find there's some peace in that, and I think it's a healthy thing to do." In fact, research studies show exercise may actually curb the effects of Parkinson's disease. "… Bob is an inspiration to many. He's putting forth all of the effort he can by following our direction trying to fight the disease." — Rodolfo Savica, M.D., Ph.D.
"Theories show exercise is crucial for the mental part of Parkinson's disease, and some theories suggest that with exercise the neurons that are damaged can build up new connections within the cortex," Dr. Savica says. Although Robert has bad days sprinkled in with the good, his commitment to an active lifestyle serves him well. "The disease definitely will progress, but the beauty of Bob is that he's really buying in to exercising. He's buying into being mentally active," Dr. Savica adds. "That's why I feel Bob is an inspiration to many. He's putting forth all of the effort he can by following our direction trying to fight the disease." A resident of the resort town of Jackson Hole, Wyoming, Robert was head of the radiology department in the community's hospital for more than 20 years. The area is known for outdoor recreational activities. 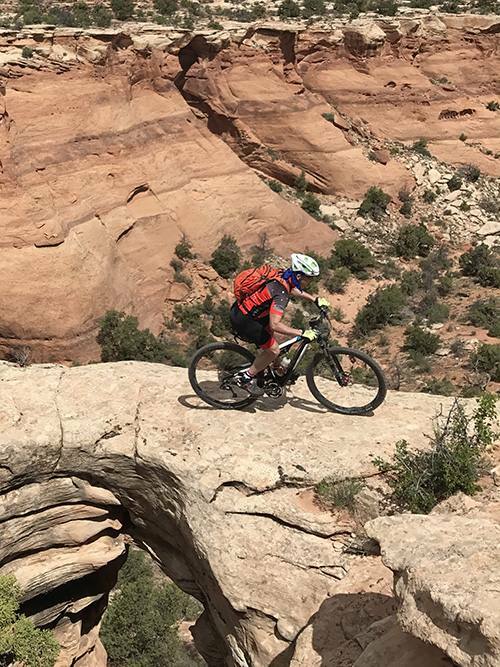 Robert, an avid mountain biker and skier, took advantage of the area's topography. But in the summer of 2013, he began to feel depressed. According to the National Institutes of Health, between 40 to 50 percent of people affected by Parkinson's disease experience depression. In retrospect, says Robert, depression was his first noticeable symptom of the disease. "I took a trip back East to see my sister and a good friend of mine from medical school. I remember very matter-of-factly thinking, 'This is going to be the last trip I'm going to take,'" he says. "While working in the radiology department, I was very emotionally affected when reading patients' examinations containing pathological findings." Soon after, physical problems began appearing. He sought help from a neurologist, who recommended Robert visit a neuro-ophthalmologist to undergo testing for a motion disorder called progressive supra-nuclear palsy, or PSP. His neurologist also suggested Robert visit a movement disorder specialist. That physician turned out to be Dr. Savica, who at the time practiced at the University of Utah. Robert was advised to consult with a neurosurgeon as well, to discuss a pre-existing case of cervical stenosis. Lastly, the neurologist suggested Robert visit a psychiatrist to manage his depression. The neuro-ophthalmologist ruled out PSP. In June 2014, Robert's neurosurgeon performed cervical fusion to help with the cervical stenosis. His psychiatrist prescribed multiple medications. "I received treatment for all sorts of things, but the one thing they weren't treating me for was Parkinson's," Robert says. "My personal denial resulted in a delay of my diagnosis." With symptoms such as tremors and lack of coordination progressing, Robert says he could no longer work. His wife, who is an internist, suggested he go to Mayo Clinic for a definitive diagnosis. Robert made an appointment to be seen in the Department of Neurology at Mayo Clinic's Rochester campus. He was scheduled for an exam with J. Eric Ahlskog, M.D., Ph.D. After a thorough assessment of Robert's condition, Dr. Ahlskog was clear and direct about his diagnosis. "It was so evident to him," Robert says. "He literally shook my wrist and said, 'You have Parkinson's.'" Robert asked Dr. Ahlskog if there was any other testing that could be done to confirm the diagnosis. He suggested Robert take a dose of the Parkinson's medication carbidopa-levodopa. If it helped ease his symptoms, that would mean Robert had the disease. "I took one pill, and an hour later I definitely felt better," he says. "There was no doubt about it." Rather than feeling despair about having Parkinson's disease, the diagnosis brought Robert relief. "I needed to figure out what was happening so I could get moving forward because I was pretty rapidly deteriorating," he says. "In addition to the carbidopa-levodopa, I needed antidepressant medication to alleviate severe depression." With his new diagnosis, Robert returned to Jackson Hole and made an appointment with Dr. Savica to monitor and tailor optimal medical treatment for his Parkinson's. "When I met him, I knew right way that he was going to be my Parkinson's doctor for the rest of my life," Robert says. "I wanted someone who was empathetic, caring and to whom I was not just another number. Additionally, I desired someone on the leading edge of Parkinson's treatment. Dr. Savica does superb research of all the new developments in the field. His whole approach and commitment to me as a patient has been incredible." 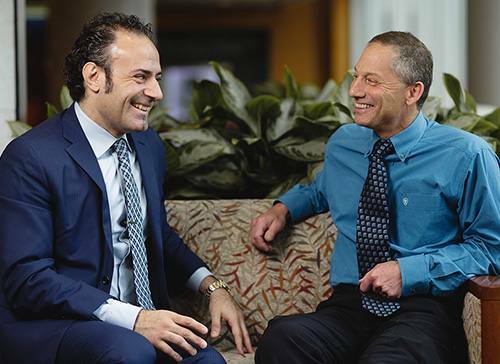 When Dr. Savica moved to Rochester, Minnesota, to join Mayo Clinic, Robert says it was an easy decision to stay with him. Dr. Savica's personalized medical treatment has enabled Robert to maintain his highly active lifestyle. "I hoped for a high level of function with no tremors and good motion enabling me to do the physical things that I like," Robert says. Robert stays in contact with Dr. Savica, making follow-up visits to Minnesota, and phone calls and emails as needed to manage his medications and symptoms. "Rodolfo has been so incredibly responsive," Robert says. Even when he has an urgent issue in the middle of the night, he says, "I'll get a response before breakfast. I feel like I have an outstanding, extremely intelligent physician who is in charge of my care. He also considers me a good friend and treats me as a friend." Dr. Savica says the feeling is mutual. As his friend, Dr. Savica will continue to support Robert both clinically and personally to help him keep the quality of life he wants. "It's crucial to say to any patient that I want you to do well. I want you to feel good, and I want to give you everything in my medical expertise," Dr. Savica says. With tailor-made treatment, Robert says he'll continue engaging in exercise for as long as possible. "There is more to life than just physical things, and there's no doubt that eventually our physical bodies deteriorate," he says. "But personally, I've always found great happiness in being physical. Exercise of any intensity, from a long, difficult bike ride to walking the dog with my wife, brings joy into my life." Connect with others talking about Parkinson's disease on Mayo Clinic Connect.